We are world leaders in linking websites to social media platforms. Yes that is a bold claim, but it is one we stand by. How it works can be difficult to explain so we set up this page to demonstrate the code we have developed over the past few years. Supported URLs are: Facebook business pages, Facebook albums, Pinterest boards and YouTube playlists. In your browser go to the page you want to test, copy the URL, paste it in the textbox here, select the kind of layout you would like displayed and click 'Fetch'. Imagine your website being updated automatically from your social media posts. It really is this easy using our platform. Almost everything on this website does not exist on it! See below for notes and restrictions. What does your bulk email look like? Here are some of ours. 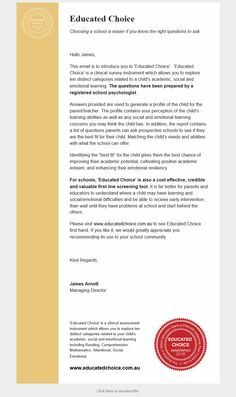 One of the introduction emails sent out for Educated Choice. 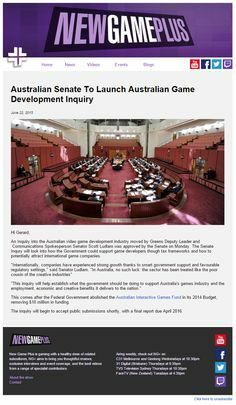 Email template set up for New Game Plus TV. 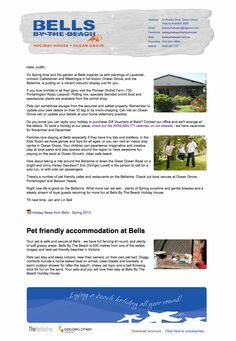 It is not difficult to send out a newsletter that looks as good as this. We set this one up for Mobility Plus and made the editing of it as easy as possible for their next one. 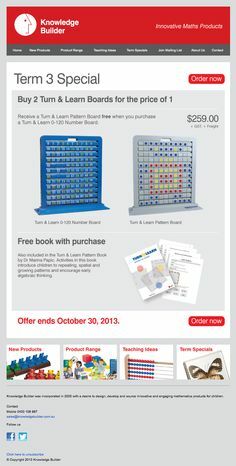 GeSS Education uses our software to send out their bulk emails. Bulk email tools are ok but better results can be achieved when you integrate your sent emails with your website database. Here is one we made for Aero Plus which has products from their on-line shop. As with everything we do, this happens automatically when Send is clicked. No typing or formatting of the products is required. This is how to format an email to get real results. Work within the format. Treat the target mailbox and user with respect. Be classy and stylish. If you do that then good things happen. Within minutes of sending this out Bells By The Beach started getting feedback like "Wow impressive new format!". This is a lot more effective than bulk emailing people from Outlook. This is the bulk email used to announce the latest term special for Knowledge Builder. Click on the pics and it takes you directly to the special on the website to purchase it. 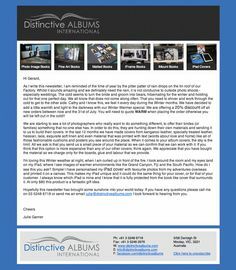 This is what an email from Distinctive Albums looks like. It maintains the attractive design of their website and is guaranteed to get a second look look among all the poorly formatted or tasteless messages the recipient is used to scrolling through (and deleting). 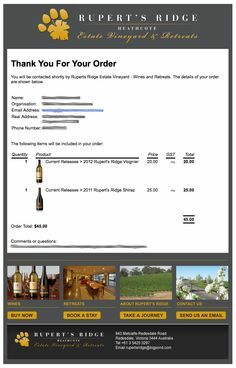 A manual order from Rupert's Ridge Winery. Buyers have the option of paying by credit card or over the phone. This is what gets sent to a buyer who chooses to be contacted for their payment details. The credit card one is the same but with bank authorisation details. 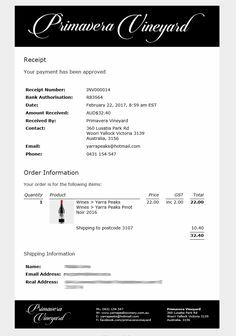 This is what the confirmation of an order from knowledge builder looks like using our built-in email system. 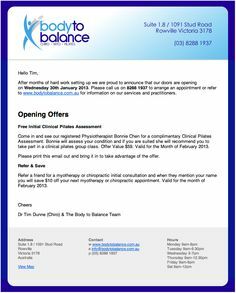 When Body To Balance opened in Rowville this is the introduction email sent out to let everybody know. 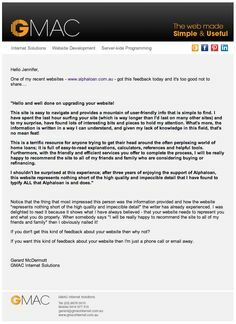 Email sent using the website CMS. 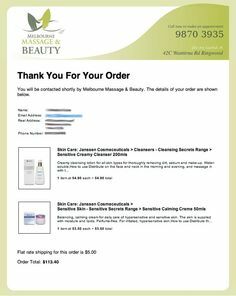 Melbourne Massage and Beauty are big users of our bulk email system. Because it works. Each one results in bookings and the business has quadrupled in size in 12 months since we started helping them with their website and direct email. Another wonderful Aero Designs bulk email. Yes, this is what the email really looks like. Sent from their website CMS. Links go back to their site. Images are loaded from their web server to keep the size of the email down. As always, it got a great response from the people who received it. The first thing people get after a phone call or meeting. The 3x3 grid comes automatically from the GMAC Internet Solutions Facebook page. Before sending, our software uses the Graph API to grab our wall posts, filters them to show previous sites and blog posts, then adds them to the bottom of whatever was typed. All automatic with one click. A simple bulk email. HTML format and personalised. These always get a good response. 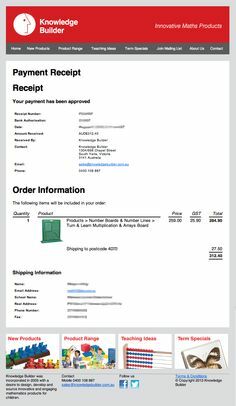 You don't need an expensive credit card gateway to have a great on-line ordering system. 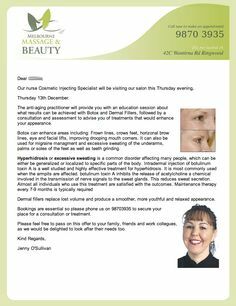 Check out the email sent went an order is placed at Melbourne Massage And Beauty. It's good to look at all the options when setting up your website. What do your bulk emails look like? Have a look at the latest Dan Forster designed one we sent out for Aero Designs. The "you may also like" section comes from their product database and is made on the fly. Want a real return from your electronic marketing? This is how to get it! All data is fetched by our web server using the official APIs provided by each platform. No authenticated is required by your website visitors. This software does not use iframes or 'social plugins'. All data returned from the social media platforms is raw and can be formatted almost any way you want it to be. No caching is performed in this test environment. On a live site we implement caching. For example, see the New Game Plus website. Facebook pages that have age or content restrictions will not work. This is a restriction of the Facebook Graph API. Styles and some scripting will appear in-line in the HTML code of this page. These are generated by the server when each URL is fetched. On a live website we can handle these a lot more elegantly. See our Website Samples page for delivered versions. This can also be done for Google Blogger or Wordpress blogs. Those take a little bit of tweaking but work in a very similar way. See our Blog page for an example of that code in action. The software is clever enough to adapt to the kind of media it is showing. See our TV and media page to see how YouTube is handled. Twitter and Instagram are supported. The ability to test them here is coming soon.